Our pattern making and sewing books are simple to use. 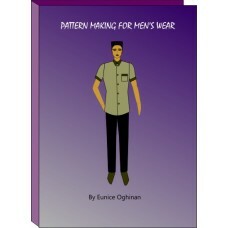 Understand the simple principles behind creating garment patterns as well as sewing. Learn to take measurements and create bodice patterns for children's wear. Master simple pattern ad..
Bodice pattern making and design teaches you a simple pattern drafting system that makes garment pro..